Mr & Mrs Blog: The Start Of Another Project! The Start Of Another Project! So I don't know if you have seen this "in" thing this year which is Fairy Gardens. I have seen them everywhere.. all the fun things and a lot of pictures of peoples gardens. So I had the smart idea that I wanted one too and how hard could it be?! Right? And I was already a step ahead because I already had two fairies, well technically I have three but I'm not sure yet if I'm going to use the third. HA! Anyways, enough gabbing let's get onto the fun part the show and tell! *BACK STORY! * So, for my fairies house I was going to build one out of Popsicle sticks but, I got way to frustrated with that and trying to figure out how to look good.. so I went with my nest best idea which I ended up like a million times better! I just made a door instead with my Popsicle sticks and leaned it against the tree stump thing. I think it made my garden look more like where a fairy would live. 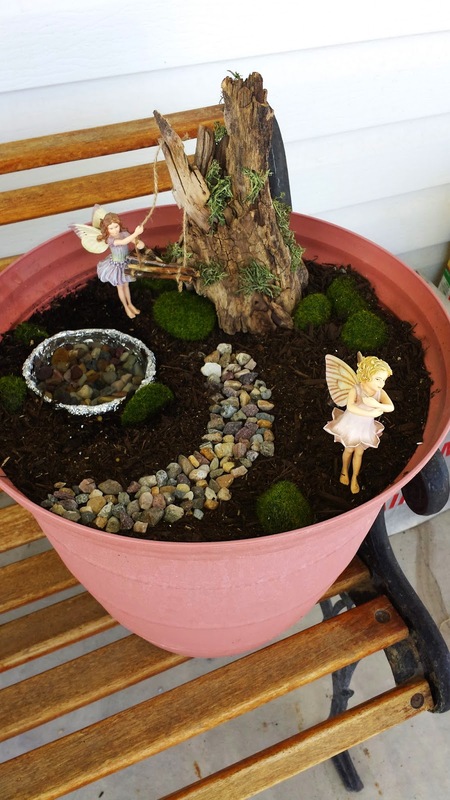 Another back story.. before I started like I said I already had the fairies but I also had the pot and what I made the pond out of... and I had the soil! But my garden is still missing some things. I would really like a bench, something to put in my bond and then just something for the right side of my garden where there is a lot of blank space. So I am currently open for ideas! 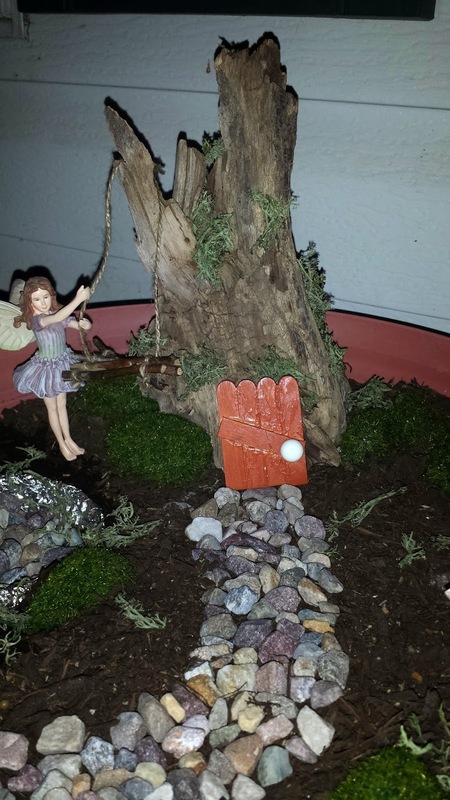 And there you have it, the start of my fairy garden! Yippee! !